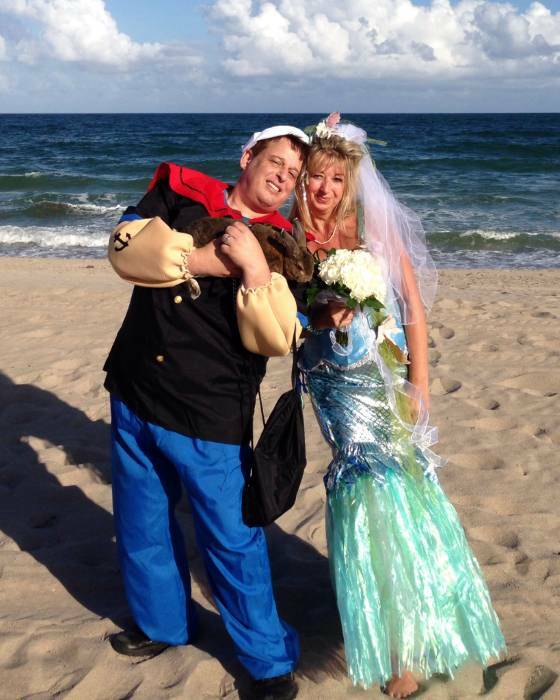 I absolutely loved the costume and it did fit-especially for our occasion- look at my beautiful wife's Mermaid costume... We married on Halloween...a big Thank You!!! Historically costumes are a challenge for me, being a bigger guy. I've ordered several years now from this site and every costume has fit spot on as listed. This costume is great, easy to wear, comfortable, and hilarious. Be prepared to deal with some deep wrinkles out of the package but other than that... AWESOME! I wore it on Halloween 2018. 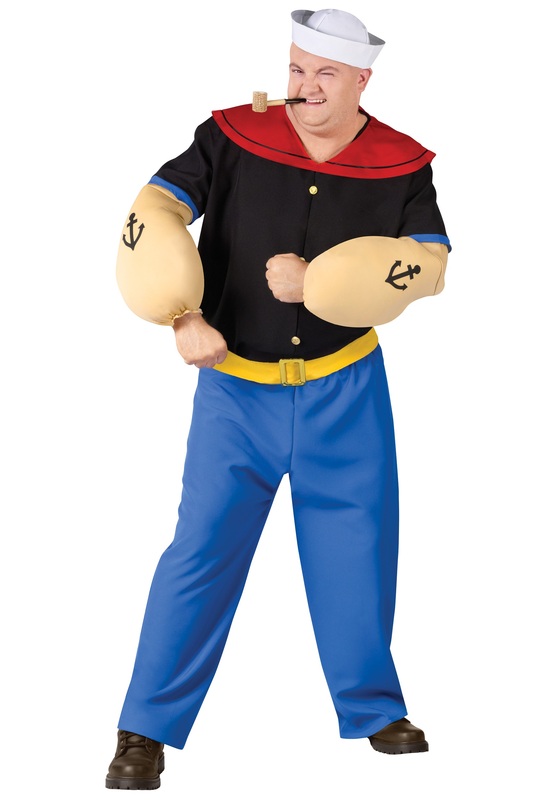 Kids Liked it but many did not know who Popeye the Sailor is/was.... Sad ! Not very good material, rather cheap and thin. 4X size belt didn't quite go around the waist, so even though it earned 1st place in a costume party, it wasn't really worth $70+.